Duramin-3000 is a single task Brinell tester. It is a basic, low cost model, but tough enough to withstand the production environment. The machine is designed to handle different sample sizes and shapes. The indent evaluation is carried out with a handheld camera. Developed to meet the harsh challenges of the production environment, the Duramin-3000 is built to last, combining a heavy frame and a robust display. 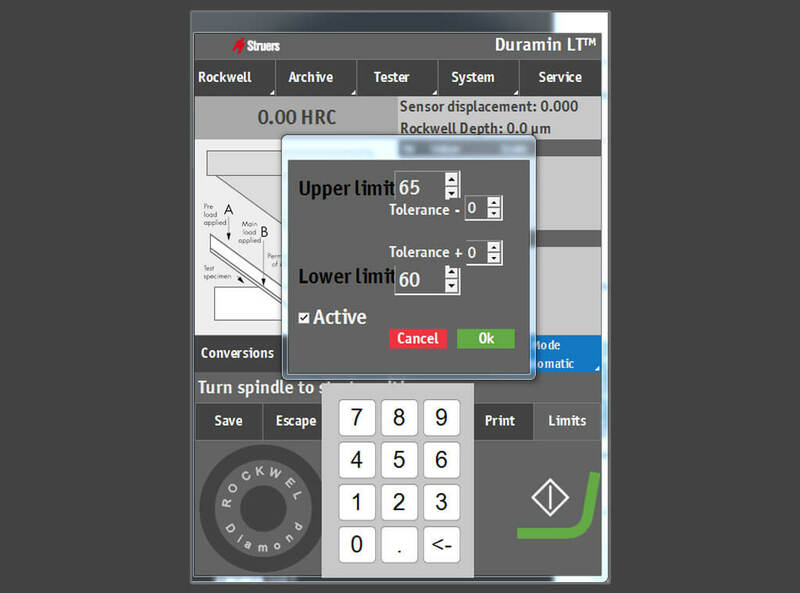 The Duramin-3000 is a dedicated solution, designed specifically for Brinell measurements. This minimizes the risk of operator errors and makes adjustments and services easier. The robust display unit boasts a touchscreen and a simple user interface. Hardness evaluation is carried out by a handheld camera which automatically evaluates and displays the hardness value. Duramin-3000 has a robust design and uses thick metal plates that are ideal for a rough production environment. A wide selection of anvils and clamping devices makes the machine easily adaptable to handle many different sample geometries. 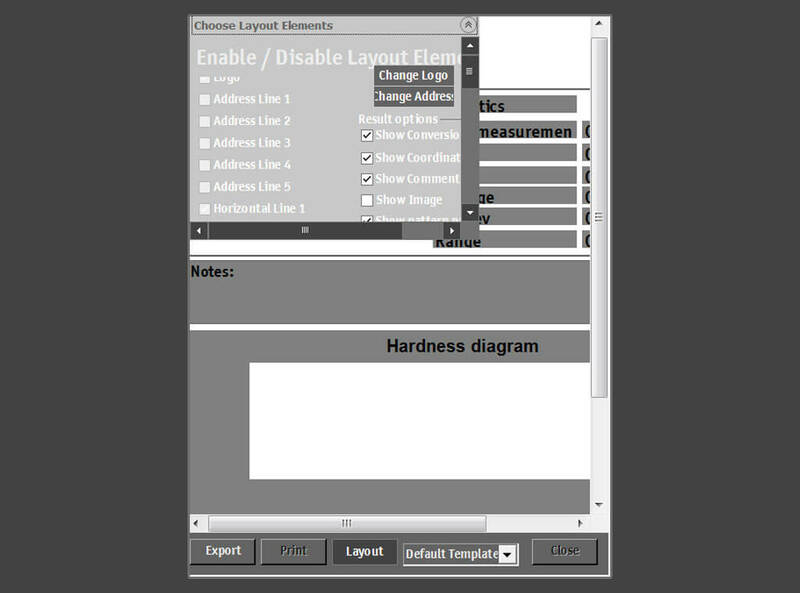 Hardness values are displayed in either green or red, depending on whether they are inside or outside the specified hardness limit. 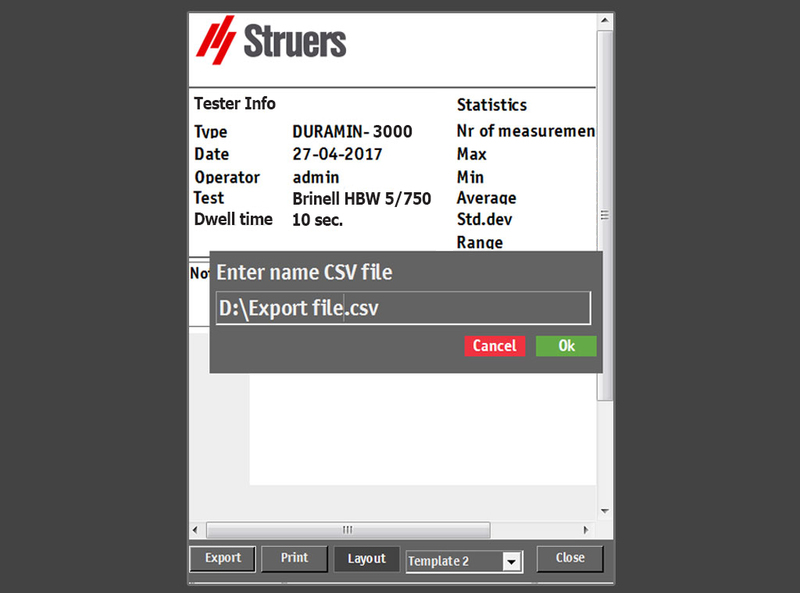 Duramin-3000 displays basic statistics in the main screen, which can be included in the test report. Measurement data can be exported and saved. Test reports and measurement data can easily be generated and exported. 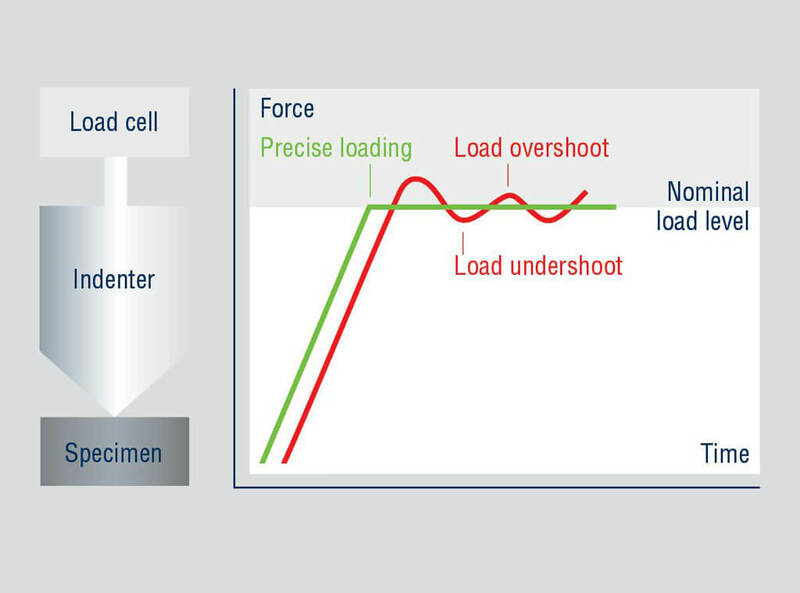 Duramin-3000 is based on load cell technology, which secures the accurate and repeatable application of test loads.